Airbags are hazardous materials. It’s strange to call a tool uses to save lives hazardous for one’s health. This is due to sodium azide. 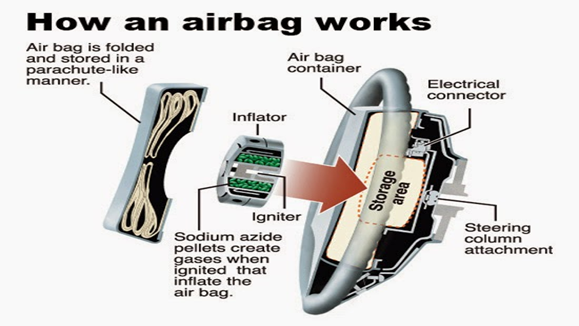 Sodium azide is what airbag inflators use to generate the gas that quickly inflates the airbag. Once the airbag deploys, sodium azide becomes harmless thanks to other chemicals in the inflator. Once deployed, airbags can just be thrown away in the disposal. The issue lies with airbags that do not deploy. These airbags retain their sodium azide and, in isolation, the gas is dangerous. Sodium azide is dangerous to inhale, can burn skin, and is toxic. Once mixed with water, it forms hydrazoic acid which is extremely toxic and can enter groundwater reserves. Untrained workers can be exposed to sodium azide when dismantling vehicles in a way that causes airbags to deploy; airbags modules that haven’t deployed can also explode from the heat a shredder causes. Airbag removal is expensive. It requires precise knowledge, prowess, and a considerable amount of time.Due to this reason, it is very common for airbags to not be removed and instead they get put through a shredder, releasing the toxic gas to the surrounding environment. National policy regarding airbags removal methods has also been lacking. The EPA has historically let states have the power to decide over how they deal with airbags. Oregon, for example, requires that all airbags containing sodium azide be deployed or removed from a vehicle before it is dismantled. The EPA decided on 11/14/2018 to waive some of these rules to ensure that airbags get properly disposed. 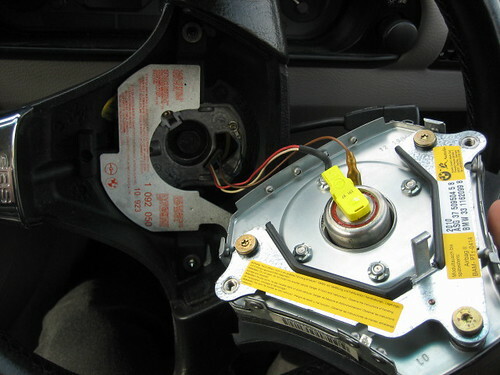 Instead of the aforementioned disposal methods, dealers will send airbag parts to certified disposal facilities. These facilities will ensure that the airbags are disposed of under hazardous waste rules. “Today’s action will help auto dealers and scrap recyclers across the country protect public health and properly dispose of these defective airbags inflators,” said EPA Acting Administrator Andrew Wheeler. Without these changes, the EPA feared that dealers might stop properly removing airbags altogether; as well as, dealers triggering rules requiring additional costs as hazardous waste generators by handling the inflators. The EPA wants to ensure that airbags are not only properly disposed of, but also, wants to make sure they are destroyed to stop them from being resold. People that work with cars at dealerships, mechanics, etc. will benefit from these new regulations. By upholding these new hazmat regulations for airbags, the EPA has guaranteed a safer, long term environment.